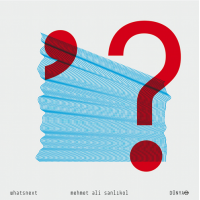 What’s Next?, Sanlikol writes, was “more than a decade in the making,” and indeed eight of its nine pieces were written during the years 1996-2000 (the exception is “Palindrome,” commissioned by the American Islamic Congress in 2011). Even though Sanlikol draws on his Turkish heritage to underscore his essentially pleasing themes, the over-all complexion is one of American big-band jazz, well-written and expertly performed by Sanlikol and his colleagues. Certainly that is the case with the dynamic title track, which sounds much like the sort of unbridled flag-waver that would have been quite at home in the libraries of Herman, Basie, Rich or other big-band pacesetters. Even so, the Turkish influence is perceptible, as on “On the Edge of the Impossible,” which combines American blues with “the Saba makam shared by Turkish and Arabic music”—not to mention the impact of one of Sanlikol’s mentors, the late Bob Brookmeyer. Another blues, suitably titled “The Blue Soul of Turkoromero,” is leavened by Turkish folk music and the ney, which Sanlikol says is “an end-blown flute,” and on which he solos. A wordless vocal and expansive piano solo (by Sanlikol) are prominent on the placid “Violet Longing,” a warm bow to Esen’s tutelage. While the plain-spoken “Kozan March” is derived from Turkish folk music, its rhythmic and harmonic framework is clearly based on the standard jazz idiom. Sanlikol uses a Moog synthesizer to deepen the shadowy spirit on the ballad “N.O.H.A,” which precedes the pulsating finale, “Gone Crazy: A Noir Fantasy,” dedicated to Hollywood films of that singular genre. Soloists on every number are unlisted, which is fine, as none rises above the ordinary. On the other hand, everyone is steadfastly bound to Sanlikol’s perspective, and the ensemble bends to it task without respite. This is classic American-bred jazz with a slight Turkish accent, bold and refreshing in its own way and well worth hearing.